Former New York Mayor Michael Bloomberg used the death of former President George H.W. Bush to criticize President Donald Trump on CNN’s “New Day” Wednesday. “What was unique about George H.W. Bush was his honesty, his morals, his elegance, if you will. And I think unfortunately you contrast it with what we have in the White House now where the current president doesn’t seem to have any feeling of sacrifice for the good of the country. And maybe that’s one of the real differences,” Bloomberg said. 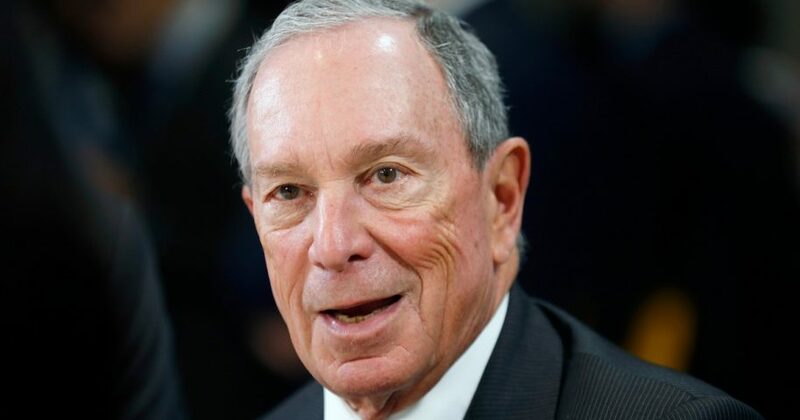 Bloomberg, who rejoined the Democratic Party in October after years as a Republican and independent, was visiting Iowa during the interview and was asked if he was laying the groundwork for a presidential run in 2020. Bloomberg said he enjoys it when people say they want him to run, but he claimed he hasn’t decided on a White House bid. Bloomberg said another Democrat, former Vice President Joe Biden — who recently declared, “I’m the most qualified person in the country to be president” — would be a “competent” choice, before lauding his own experience and accomplishments. “I can’t speak for anybody else. I do think that after 12 years in City Hall dealing with international problems and security problems and economic problems and creating jobs and the environment and guns and women’s rights and tobacco and all of these things, that I have a lot of experience which would be useful if I was president of the United States. “That doesn’t mean I’m going to run.